In a short while I will leave the well-known world of academic libraries to take on the position as director of libraries and citizen services in Roskilde Municipality. I’m looking very much forward to work with public libraries but I will also miss working with education and research, students and researches in universities. Looking back, one of the things that I am utterly proud of is the making of Digital Social Science Lab that we opened in February 2016 at The Faculty Library of Social Sciences in Copenhagen. To give a proper farewell and hat tip to something that I have invested much energy, time and passions in, I have translated an article I wrote a while back for Danish LIS journal REVY together with DSSL partner in crime, Mads Korsgaard. Links to other writings on Digital Social Science Lab at the bottom of this post. A Tuesday evening 25 students has showed up to Digital Methods Sessions in Digital Social Science Lab (DSSL) in the basement of the Faculty Library of Social Sciences. Digital Methods Session is a recurring event where students share their experiences about their work on digital data handling and analysis methods in small TED Talk-like presentations. Rasmus, studying sociology at the University of Copenhagen, tells about how he has collected 2.5 million blog posts and online articles in his master thesis about the crypto market (the deep and dark web of drugs and weapons) to perform a topic modeling on the incredibly large amount of data. Through topic modeling, he has managed to extract the most commonly used concepts, analyze how they relate to each other, and demonstrate how the discourse online follows concrete events in the “physical” world. Finally, he demonstrates how he has conducted data visualization that illustrates the online debate about the crypto market and its evolution over time. 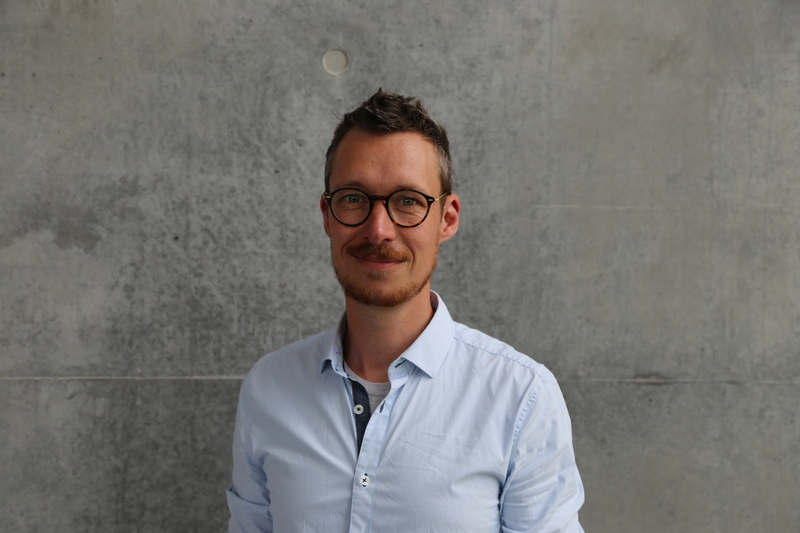 Rasmus’ method differs from the classical social science empirical collection through, for example, questionnaires and interviews, and it is a good example that research, education and learning have changed in line with technological developments. In DSSL, we are not trying to tell students and researchers that one method is better than the other, but we want to show them that there are options for exploring the world around us than just a few years ago. Functioning as an open platform for working on digital methods DSSL is thus a response to the significant changes in our technological capabilities to become wiser on the world. Students and employees of today’s education and research institutions use new resources, methods, skills and tools in their work, and libraries can not afford to ignore this if they continue to create value. When thinking about a data lab, one would typically imagine a space filled with computers, but the first thing that strikes one when entering DSSL is that here has been made some quite different choices compared to the traditional data room. Rather than being a local stationary computer, DSSL appears as a small-futuristic botanical landscape with rolling cushions and plants in all shades – as a blend between a Starbucks-style café environment and a Silicon Valley-inspired innovation lab. This has been a very conscious choice, based on the experience that today’s students almost always work from their own laptops and that these machines are gradually powerful enough to settle the vast majority of social science projects. The focus has therefore been on creating a facilitating framework for student learning processes rather than filling up the room with hardware. However, DSSL contains 4 stationary workstations located under a palm tree in the corner of the room if you need additional processor power for a project. In order to create a functional and aesthetically inspiring physical framework, we engaged production designer Helle Egsgaard to create a unique design and narrative of the room and it’s interior. The Faculty Library of Social Sciences is located in a building on the corner of the Botanical Garden, which previously housed the old Botanical Laboratory. This became a continuous inspiration element in the design process, and the botanical themes of DSSL are therefore a tribute to the history of the site in the meeting of the organic plants and the more sterile work with data. The purpose of the alternative arrangement has been to create a form of “otherspace” with surroundings that invite creative thinking and innovative knowledge production. Conceptually, a lab is a place that differs from the living room – it is a place where you go to experiment, to try out new combinations and to “invent” new products and processes. The idea of ​​DSSL has thus also been to offer an alternative to the lecture hall, which is the most common learning room at most educational institutions. The lecture hall as a venue is suitable for many things, but the physical space framework limits certain social learning processes, and the students usually operate as passive recipients of knowledge. The idea of ​​DSSL, on the other hand, has been to create a physical framework for the students to be active knowledge producers. The room is therefore designed to be dynamic and all furniture is on wheels so that the room can easily be changed depending on the learning process to be supported at a given time. For example, you can quickly go from a lecture situation to group work with laptops and data visualization on the room’s three projectors. Still looking for the limits for DSSL The library is working to fill the frameworks with a lot of relevant content and create an engaging environment around DSSL, and this is where the two main elements come into play: In part, as mentioned, the library constantly develops and offers different courses on digital methods and data handling, and partly focus on the facilitating element, where the DSSL platform functions as an open-source hub that can connect committed students and researchers across institutions and support externally driven events. The interest in the project has been high from the outset, and DSSL has set up more than 80 different workshops, courses and events before the end of its first year of living and the development has been steady ever since. Towards Rubicon: A Story About Libraries That Turn And Face The Strange. That’s the title of my keynote at the annual REBIUN conference at Palma de Mallorca, Spain, November 9th to 11th. The title reaches for both history and Bowie – two things that I find great for explaining and framing stuff. I was asked if I would do a talk on struggles and challenges for academic libraries but I find that a bit to gloomy a subject for my taste (I’m a LEGO playing library director after all) but also a theme in lack of some important elements and aspect in the discussion of the future of libraries. Where does challenges come from? Where does opportunities come from? They are mainly driven by changes in our surroundings and changes, if we like them or not, are here to stay. Not much in this world are static (except maybe the magic of David Bowie) and in order to develop and grow I strongly believe that libraries needs to embrace the change and face the strange. Not ignore it or fight it. So my talk will be about that. Changes often comes with uncertainty and I think many human beings and institutions even if they will admit it or not, really are fans of status quo (myself included on many days). You know that you got but you don’t know what you gonna get, right? But it’s an unhealthy position to take in order to navigate libraries wisely through changes and it often brings out The Let’s Save Libraries Ghost. The Let’s Save Libraries Ghost is not saying boo because of governmental cuts on library budgets (that’s a different kind of change) but it’s scares us to a place where we look at changes in technology, infrastructure, culture and behavior and thinking how do I save the library I know in all this. But that is wrong – leading a library of status quo through tides of changes is a bad trip and will in the end result in a library out of sync with it’s community and the needs it serve. In my talk I will address the following questions which I think is crucial for libraries to navigate and continuous create value in research and higher education. What’s the purpose of higher education? What changes effects higher education? Which challenges and opportunities does those changes bring to higher education? To which of these challenges and opportunities in higher education are the library the answer? My talk looks at those questions and will pinpoint some ways to face challenges, opportunities and changes but most of all, I hope it will offer reflections and a direction on how the culture of libraries can deal with changes. I’m looking forward to walk towards Rubicon with the REBIUN participants, hopefully cross it, and go back to our institutions ready to embrace the change and face the strange. How does the University Library looks like in the year 2035? Sure! What an excellent and totally mind twisting question. It was really fun and healthy little mind experiment to imagine the University Library in 2035. I think my picture of The University Library 19 years from now might be colored by an inherent optimism on behalf of libraries and the fact, that I wrote down my 2035 scenario in the co-drivers seat en route from Copenhagen to Skaelskoer with a cold Sierra Nevada Torpedo Extra IPA in my hand. You find my University Library anno 2035 below: The space was limited, the context is Denmark but anyway I think the result is worth a share and I recommend the mind experiment for everyone who cares about the future of libraries (I do also recommend a good beer for this kind of work). In 2035 the wave of mergers and centralization has left Denmark with three regional universities – one in Jutland, one on Fyn and one on Zealand. Together the three universities cover all relevant research disciplines and educations relevant to society. They are served by only one Danish University Library, simply called The University Library. In 2035 the information resources used in higher education is 100% digital. The traditional commercial publishing system succumbed several years ago and has been replaced by 100% open access publishing. In addition to the supply of scientific literature The University Library curates datasets with open data relevant for research and education as well as other materials such as 3D scans of molecules and historical artifacts which can be searched, downloaded and elaborated. All materials is accessibly via a single search interface. The amount of information is complex and actors in research and education use many different types of materials, sources and formats in their work. The University Library teaches and supervise academic staff and students at the university in information seeking, source criticism, reference management, data management, data handling and data visualization. The instructions is embedded in the curriculum and is carried out both physically and online. The librarians of The University Library acts as consultants and partners in university research projects. They assist on systematic reviews, bibliometric analyzes, instructions for data handling and data management and several other aspects of the research process. Often the librarian embed in larger research projects over a period of time. In 2035 the physical space is more important than ever. The digitization of society activities has not – as some predicted – changed the basic human need to meet physically for dialogue and cooperation in order to develop and learn about the world. The University Library has a number of physical devices attached to the academic environments of the three regional universities. The physical devices, simply called Libraries, functions primarily as hubs for projects, events and workshops related to research, education and learning. The decor of the Libraries are flexible and inspiring with furniture and technology to support creative processes and cooperation; Should one kick start a research project or pitch an idea for fellow students it happens at the Library. That was my University Library anno 2035. Might look different next year. How does your University Library look in 2035?